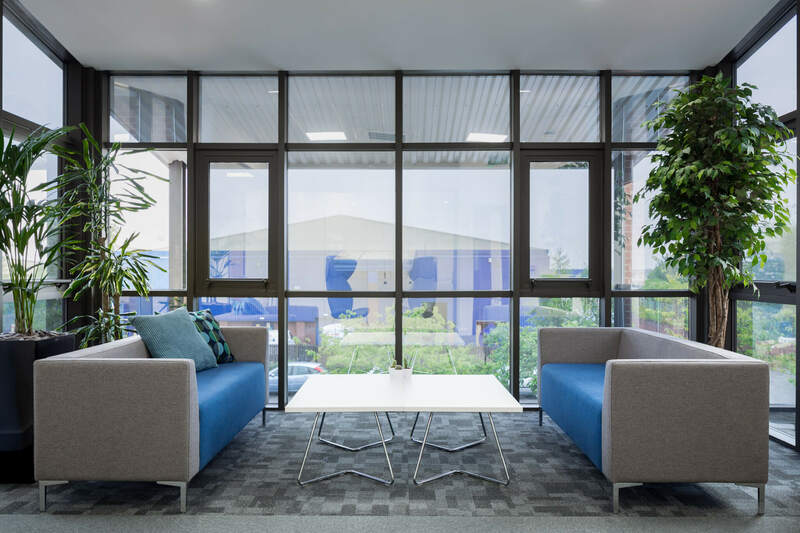 XL Joinery, a market leading supplier of wooden doors to residential markets, came to Dale Office Interiors to assist with their office relocation and to implement a design that reflects their brand values of quality and innovation. Their new distribution facility, including 15,000ft2 of office space was in need of a complete overhaul to enable them to realise their growth ambitions and take the business to the next level. After initial consultation with the team at Dale, designs were agreed which enabled demolition and enabling works. As the works progressed final design and finishes were agreed for the fitout. All electrical, HVAC and plumbing was completed with new ceiling and partitions creating more break out space and meeting rooms, providing key collaboration areas to compliment the new open plan style of the main office. A bright, open and outdoor atmosphere was created through clever décor with biophillic design and features, with furniture, fittings & equipment adding finishing touches through quality brand names such as Autex & Narbutas. New WC’s, glazed screens and kitchen areas provide modern facilities with personal storage areas helping to create a more home like atmosphere. A welcoming reception area gives off a great first impression, with comfortable and stylish waiting areas.